Ritzenried. 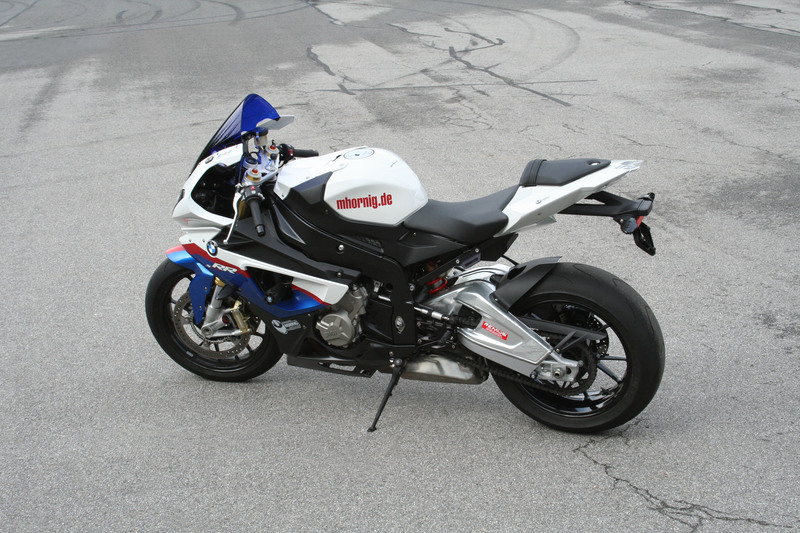 Hornig presents its rebuilt BMW S1000RR just before the 10th anniversary of the BMW Motorrad Days. The aim of this remodeling was to show how everybody can change the Street-S1000RR into a Race-S1000RR in short time and without much work. The three main parts for this idea are the Race Track Stickers for the front lights and turning signals, the mirror caps and of course the crash protectors. 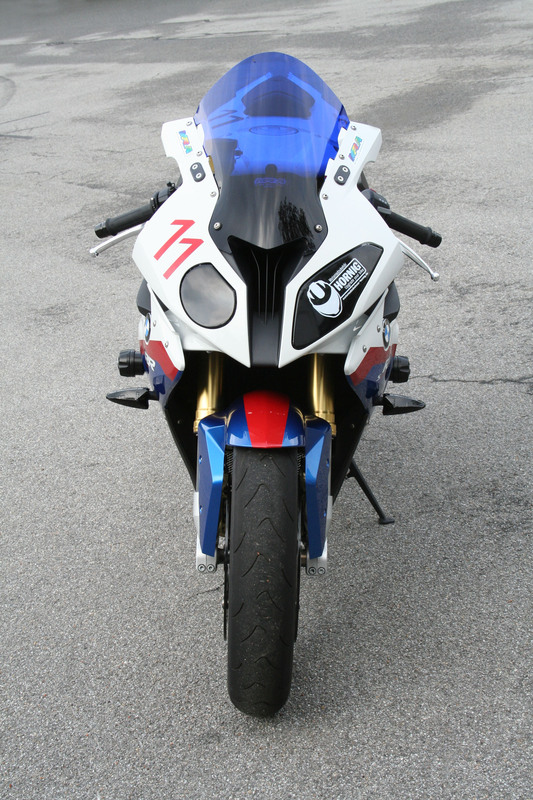 The stickers can be glued on fast and easy at the race track, the mirror caps are mounted with two screws each and the crash protectors are also easy to mount and can or should also be used on usual roads. A cam or GPS mount is installed on the handle bar in order to make amazing videos without vibrations which usually the rider only can see. The race windscreen provides more space and protection from the wind which can pass with more than 300 km/h and the Remus HyperCone provides the necessary power and sound. 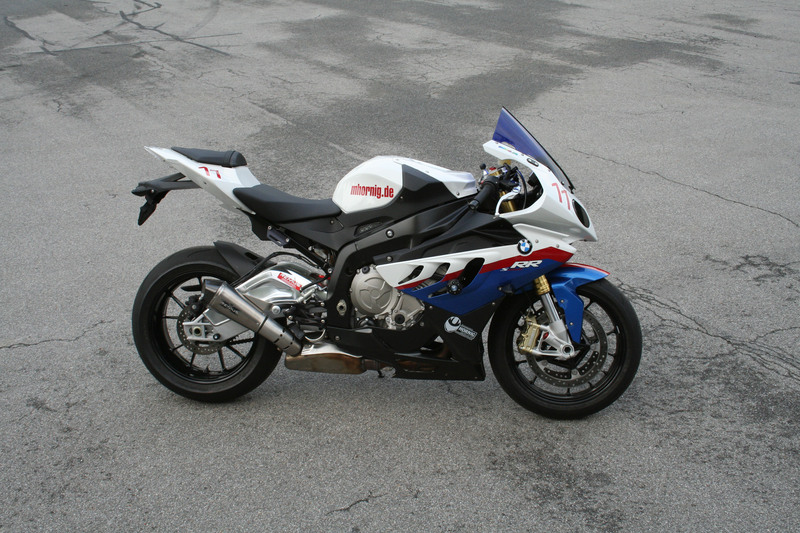 A black anodized footrest system is also mounted to the Hornig S1000RR which is also available with GP-shifting. 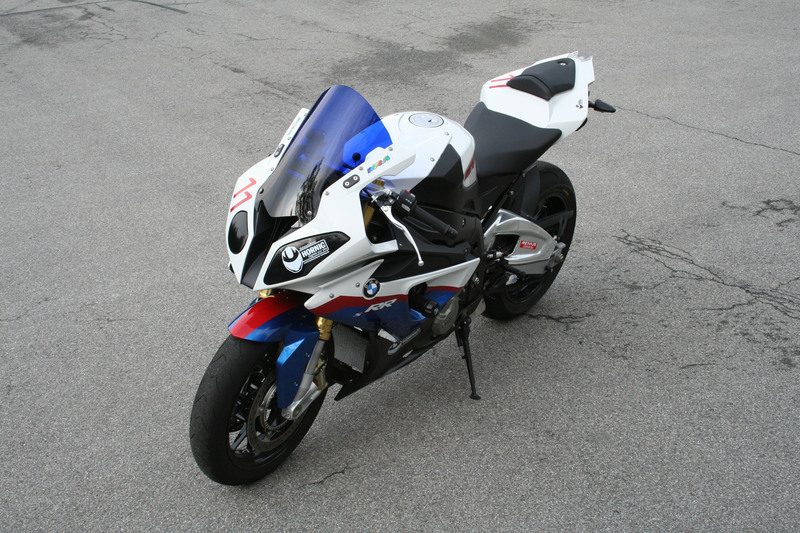 Find all accessories for your BMW S1000RR here in the Hornig online Shop.